Qualitative horror story for those who like all kinds of revivals of human, and then watch how the people involved in these experiments deal with all this bad issues that are happening as a result of their reckless behavior. Despite the grandiose name, the film is, in general, ordinary representative of its genre – a lot of make-up, some good computer graphics too. This is even of the average duration. But that, in no case, does not negate its high visual and narrative quality that the audience will definitely should appreciate. 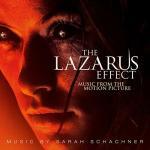 Music for the film does not have many works – the most part was performed by the singer Sarah Schachner, which is not on this site – in her performance, this motion picture has 16 tracks (you can find them on YouTube, for example). Remaining compositions are presented with seven tracks, one of which is instrumental – You And Only You. Two fulfilled by the singer K. A. Talbot, whose music is completely absent in the Internet, and we do not what is the reason for that, at the moment – whether the fact that the film is very new and the music has not officially put in the Network yet, or because of, in principle, nobody cares about this singer. Queen Of The Night is different in its voice – one of the most famous vocal songs in the whole world, on which opera singers are oriented. And music producers like it for the purity of the voice. Peppermill Stomp is a nice jazz, and Nanny Version is the opposite composition by the genre, it is reggae. We do not say that the selection is full of splendor, but at least it is not disgusting, just as sometimes happens to collections with mixing of the different genres.